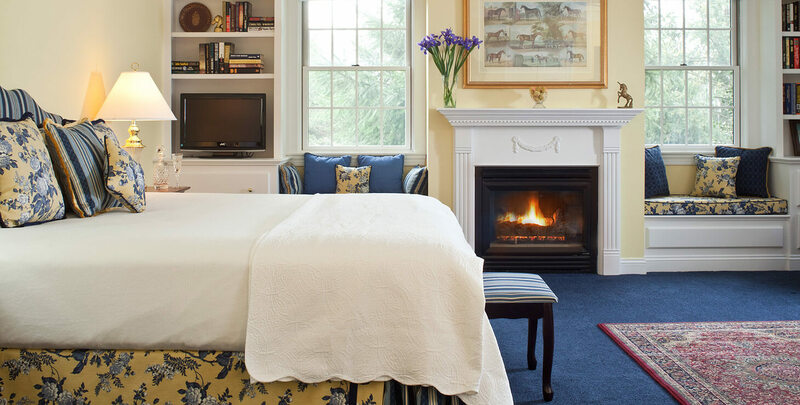 This elegantly appointed room has soft shades of buttery yellow and royal blue hues. Relax in your specialty king bed luxuriously appointed with hand-made pillows and bedding ensembles done in a rich, Hunt Country elegance finished with crisp white linens. Four large windows look out over the grounds and let the natural light into your room. Two window seats on either side of the fireplace make it the perfect place to read, take a nap, engage in conversation or simply sit and gaze at the rolling hills of our grounds and endless sky. Enjoy a book from the built-in bookshelves and cozy up in the Queen Anne Chairs or grab a seat at the antique secretary desk to write a postcard. The Hackney Suite has an en suite private bathroom with marble floors, cozy towels, vanity chair, make-up mirror and shower. 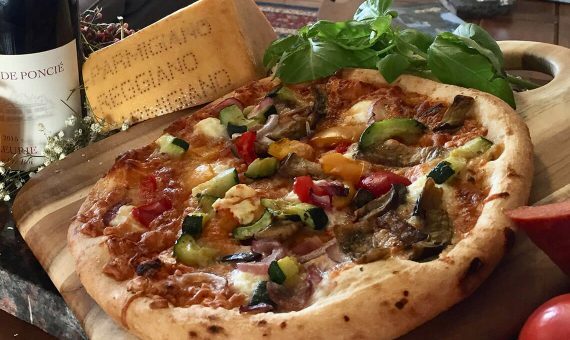 Rustic artisan bread topped with virgin olive oil and Italian cheeses with your choices of 3 varieties.